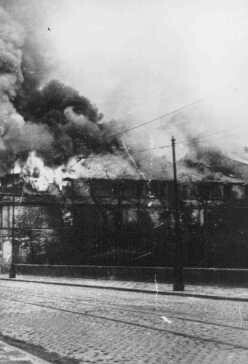 A building burns during the suppression of the Warsaw ghetto uprising. The photograph was taken through the window of a building adjacent to the ghetto. Warsaw, Poland, May 1943.